The book is written in three parts. Part I consists of preparatory work on algebras, needed in Parts II and III. This material is presented in a classical, though unusual, way. Part II consists of a modern description of the theory of Brauer groups over fields (from as elementary a point of view as possible). Part III covers some new developments in the theory which, until now, have not been available except in journals. The principal topic discussed in this section is reduced K,-theory. 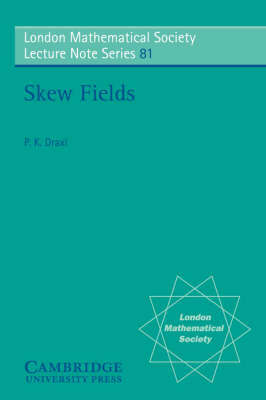 This book will be of interest to graduate students in pure mathematics and to professional mathematicians.